The Community Foundation would like to recognize and thank the following individuals, families, and organizations for their generous donations in the month of March. Your support is greatly appreciated. Or brought into the office between 8:30 and 4:30 p.m. Monday through Friday. 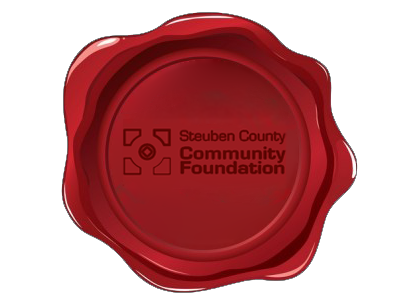 The Steuben County Community Foundation recently awarded $24,750 to local nonprofit childcare and preschool organizations. Agape Child Care Ministry, Little Lambs Daycare, Heaven Sent Preschool and Daycare and Wee Creations Preschool and Daycare were among the recipients. The organizations will use the grant money to obtain additional education, training or certifications in their field. A statewide report released earlier this year that showed only 8% of children under 5 years old are enrolled in a high-quality childcare or early education program in Steuben County. The grant money will be used to help the organizations obtain a new or retain an existing high-quality rating in Indiana’s statewide rating system for early care and education programs. 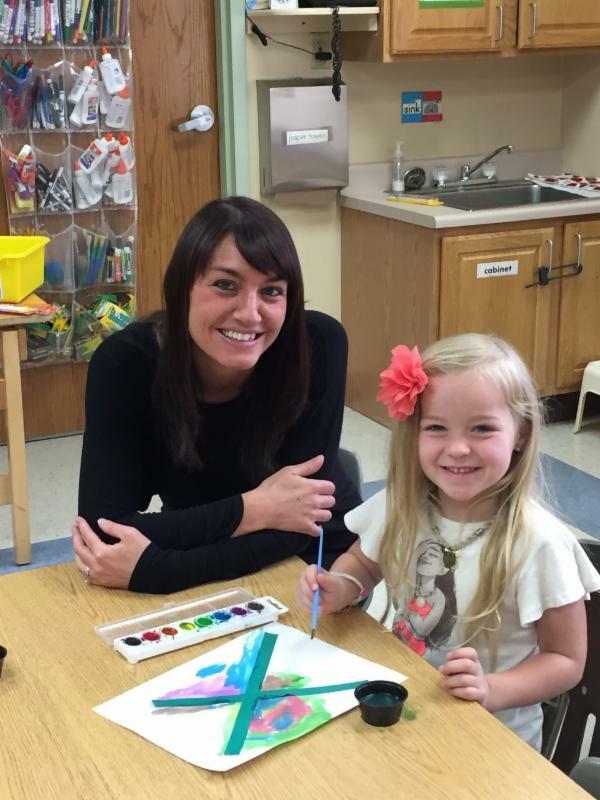 Brooke Ridenour, director of Heaven Sent Preschool and Daycare, is working with student Achaiah McCue on an “X marks the spot” craft for letter X week. Heaven Sent Preschool and Daycare will be using their grant money for teacher training. 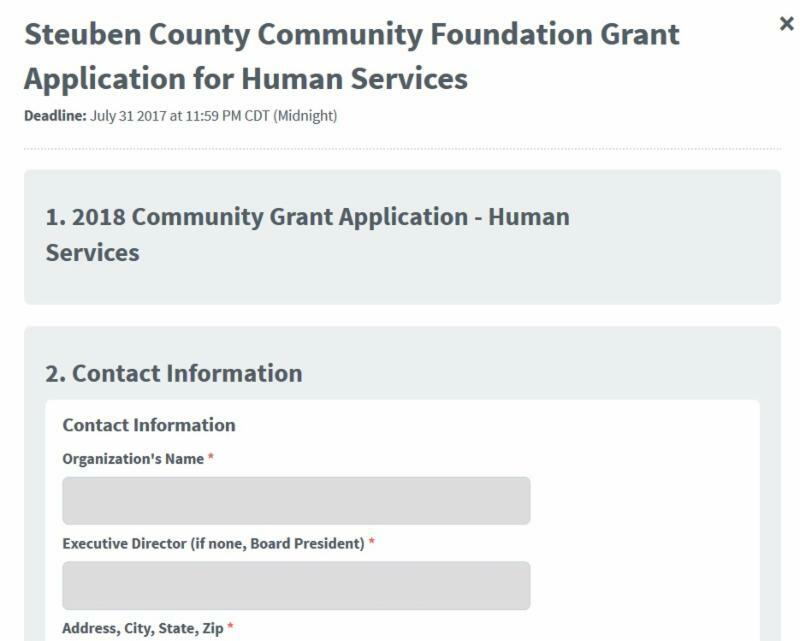 Starting May 1, 2017 the Steuben County Community Foundation’s grant applications will be managed through Smarter Select, an online-only system. SCCF scholarships have been managed through this same program for the past three years. Organization’s seeking grant dollars will visit www.steubenfoundation.org and will be directed to the application site. 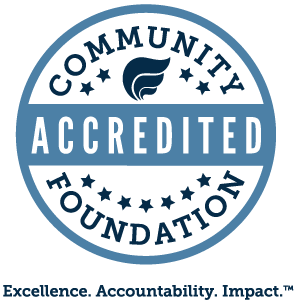 SCCF Program Officer Jacqui Gentile says, “Using an online system ensures applicants submit all required information, stores past and current applications in one convenient spot, and streamlines the review process for our grants committees. We are here to help if there are any questions or concerns along the way.” The quarterly fields of interest and deadlines have not changed. Eleven students from Steuben County high schools received scholarships totaling $4,057 from the Indiana Humanities Council Humanities Fund at SCCF to attend a summer arts camp. Lexi Banks, Sammual Corber, Kendal-Nichole Kramer, Ellise Kuespert and Jacob Thompson will be attending Blue Lake Fine Arts Camp. Annie Delgadillo, Colton Gulick, and Lydia Marlin will be attending Sycamore Drum Major and Leadership Clinic. Cady Davidson will be attending Show Choir Camps of America and Kane Elkins and Aaron Porter will be attending the International Thespian Festival. These scholarships are made possible through proceeds from the annual Bike 101 Lakes charity bike ride. The 8th annual Bike 101 Lakes will be held Saturday, May 13, 2017. More information and registration can be found at www.bike101lakes.com. Proceeds from the annual Bike 101 Lakes help support the arts and humanities in Steuben County.